Traditionally used for their therapeutic virtues in ancestral medicine in Japan, Egypt and Morocco, essential oils are the quintessence of aromatic plants with recognized beneficial effects. Cinq Mondes has combined essential oils with the power of colors through the Aromas and Colors Method. There are 5 combinations that each correspond to a shower & bath oil and energy message. 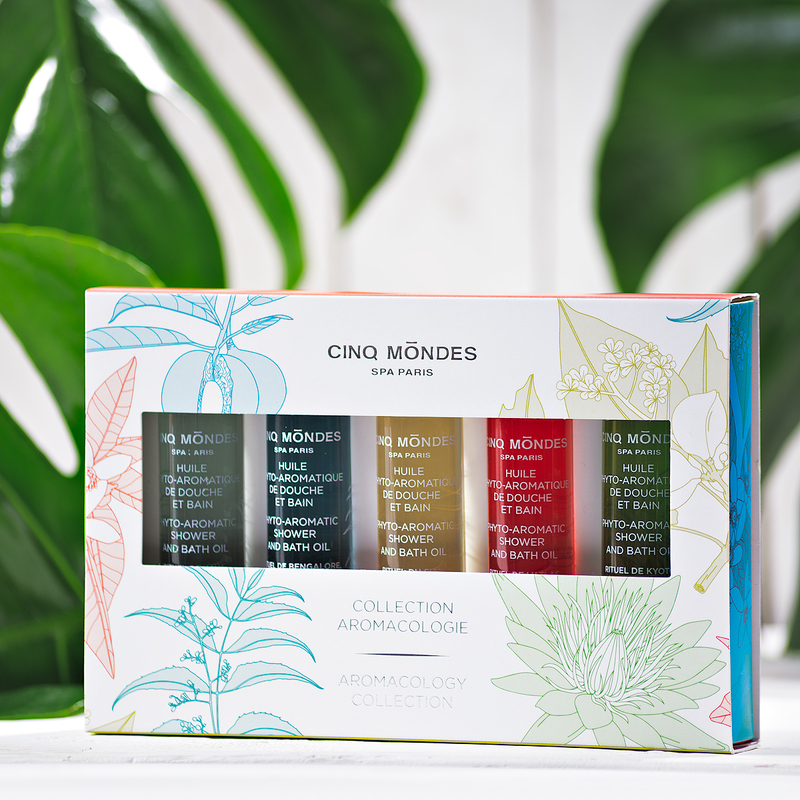 Cinq Mondes has developed this Phyto-Aromatic Shower and Bath Oils Collection (30mL) combining the beneficial effects of essential oils with the sensorial journey of aromatic concentrates, presented in a handy format that you can take on your travels or offer as an original gift to family and friends.